The Saints are revamping their program from top to bottom and preparing to make another run at the Super Bowl in the upcoming NFL season. Thanks to the continuing vendetta being waged by NFL Commissioner Roger Goodell, the Saints will start the new season already hampered because they will lose a valuable second round draft pick as part of the BountyGate scandal. Saints players and fans are holding their collective breaths in hopes that this will finally be the end of that long and ugly affair. Head Coach Sean Payton is back, at last, and has already started spring cleaning. As predicted, last year’s defensive coordinator had to go. You cannot post a record that is the worst in NFL history and have any expectations of holding on to your job. So now Rob Ryan, son of legendary coach Bobby Ryan, is the new DC in New Orleans and great things are expected. There is even a rumor flying around that Ryan has been wooing Tyrann Mathieu, aka the Honey Badger who, after all, grew up within walking distance of the Super Dome. 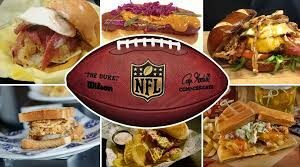 The problem to be overcome at this time is the pending salary cap which the NFL has just raised from $121 million to $123 million for 2013. Several of the Saints key players have expressed willingness to modify their existing deals with the club in order to facilitate this move. 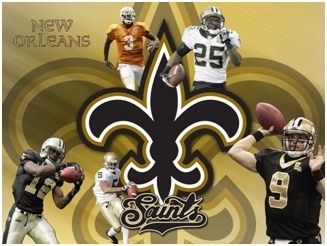 They include Drew Brees, Marques Colston, Will Smith and Jonathan Vilma as well as others. Mind you, they are not taking less money, only extending the period of time over which it will be paid. Saints fans are ever optimistic but no one really knows how next year is going to go. The Saints went from being one of the best teams in the NFL in 2011 to being way down in the under 500 category for 2012. The new league year begins on March 12th and teams must get under the $123,000,000 salary cap or face stiff luxury taxes and fines. Brees signed a record breaking deal with the Saints last year for 5 years and a whopping $100,000,000. His salary cap for 2013 is $17.4 million but it looks as if he will be willing to restructure that down to get the front office over this hump. But then, Drew Brees has always been a team player and he has what can only be described as a love affair going with the City of New Orleans. Geaux Saints!